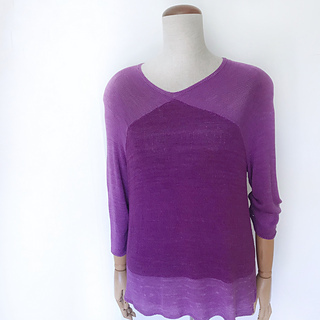 Purpur is a sweater worked from the top down. 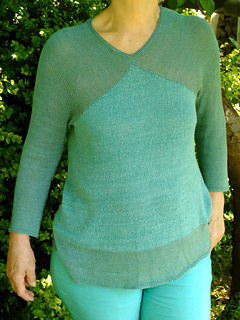 All parts are joined by picking up stitches from previous parts, no seaming required. 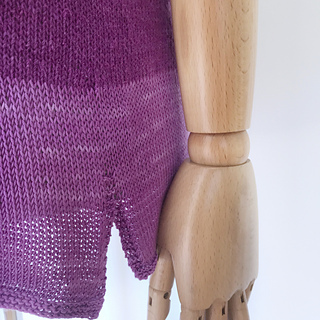 Having finished both shoulder parts, they are joined by picking up stitches, each for front and back, and short rows are worked until the armhole has been reached. from this point the body as well as the sleeves are worked in the round down to the hem. 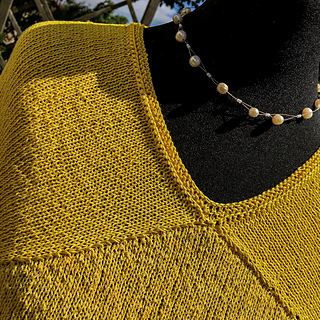 Two silken yarns in the same color but a different tonal range set color blocking accents. 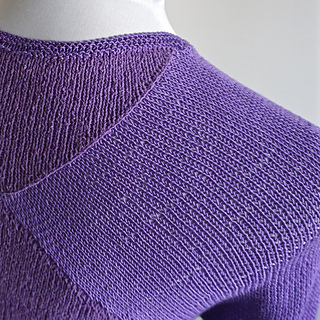 The yarn used for the sleeves is also used for a large block stripe at the bottom of the sweater. 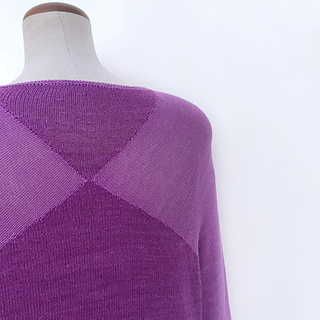 A slightly a-line shape and small vents on the hem make Purpur an easy-to-wear sweater. Intended to be worn with 5–12 cm/ 2–5” positive ease around the body. Sample is shown in colorways sd6376 (Sedaca) and bo3041 (Bora) in size L on a 102 cm/ 40” mannequin with 12 cm/5” positive ease around bust. Short rows (wrap & turn) and picking up sts from rows. Pattern has been tested and proof read.